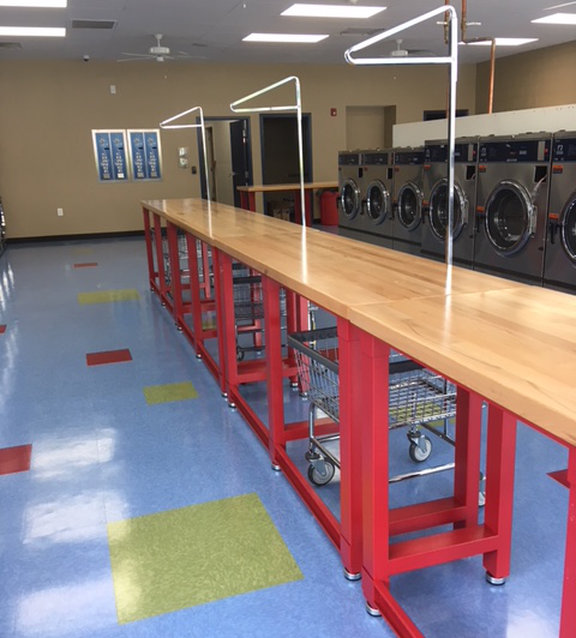 The Clothes Spin is the creative vision of three individuals committed to providing an upscale laundry experience from the minute you walk through our doors. Our locations feature big, clean machines that wash quickly and dry even faster. While you’re with us, we also provide creature comforts to make your time with us fly by, like free wifi access, vending machines, and chairs. Available in a range of sizes to fit every load efficiently and cost-effectively. Pay with Clear Token App or coins. Leave the change for the piggy banks – all you’ll need here is your phone – Clear Token App! It’s secure, convenient and easy to use!